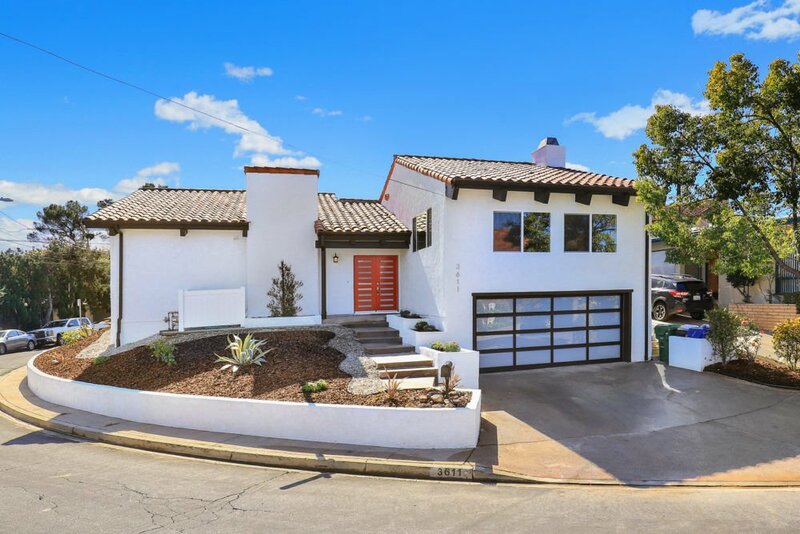 An immaculate, renovated view home is now available in the Glassell Park/Mt.Washington neighborhood, featuring a bright and spacious floor plan with 2,029 square-feet of living space. Stepping into the beautiful home, you are greeted by an expansive open concept gourmet kitchen and dining area with high ceiling and French doors that tie in the indoor/outdoor entertaining areas. There is an abundance of space in this beautiful kitchen with an impressive 7-foot island, granite countertops and stainless steel appliances, making it a true delight to cook and entertain in this area. The large living room also ties into this area beautifully as you step up into a light-filled room with wonderful views, open-beam vaulted ceiling and fireplace. There are three spacious bedrooms, one of which is a large master suite with open-beam vaulted ceilings, large bathroom and french doors that open to the private outdoor area. The home has been tastefully remodeled throughout, with new laminate wood floors, new windows throughout, exterior painted, central air & heat, plus a 2-car garage with direct access into home. 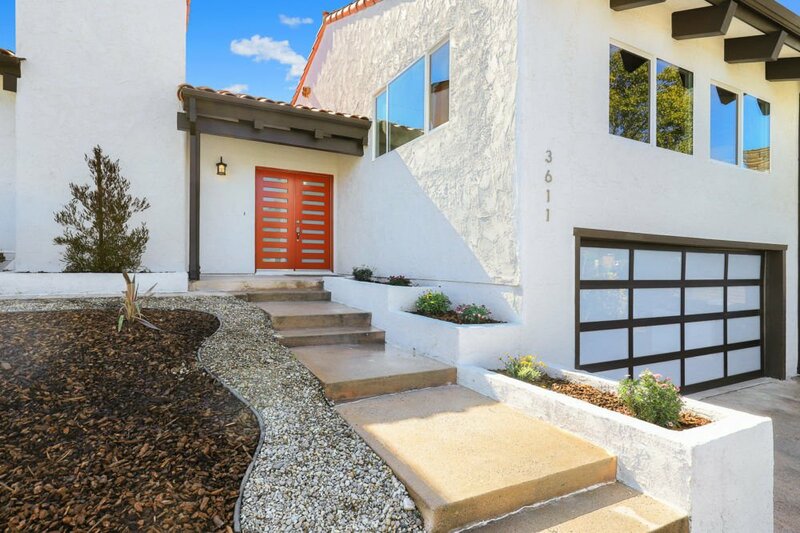 Located in a desirable neighborhood with quiet street and just minutes from the vibrant Northeast LA trendy hot spots and conveniences. Also just minutes from Downtown LA, USC Medical Center, LA River & more!